More props for the Vols modern day Ernie and Bernie! ATLANTA — More props for the Vols' modern day Ernie and Bernie! Admiral Schofield and Grant Williams were named to the 2019 Citizen Naismith Trophy Men's Player of the Year Midseason Team. Some fans have been comparing this power duo to Ernie Grunfeld and Bernard King who were dominant at UT back in the 70s. So far this year, the duo was tabbed to the John R. Wooden Award Men's Late Season Top 20 Watch List. Williams earned a spot on the 2018-19 Oscar Robertson Trophy Final Midseason Watch List and was selected as a Karl Malone Power Forward of the Year finalist. 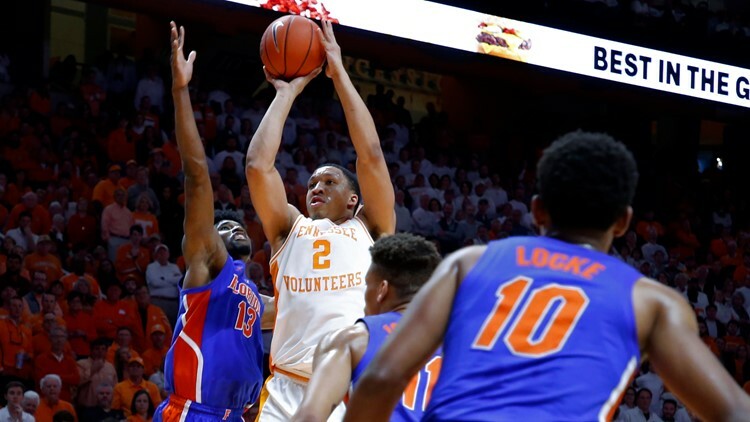 RELATED: Can Vols' Grant Williams finish season strong? Williams, the reigning SEC Player of the Year, has been one of the nation's most all-around players this year, averaging 19.9 points, 7.3 rebounds, 3.3 assists, 1.5 blocks and 1.2 steals per game. The Charlotte, N.C. native is also shooting 58 percent from the field and an impressive 83 percent from the charity stripe. 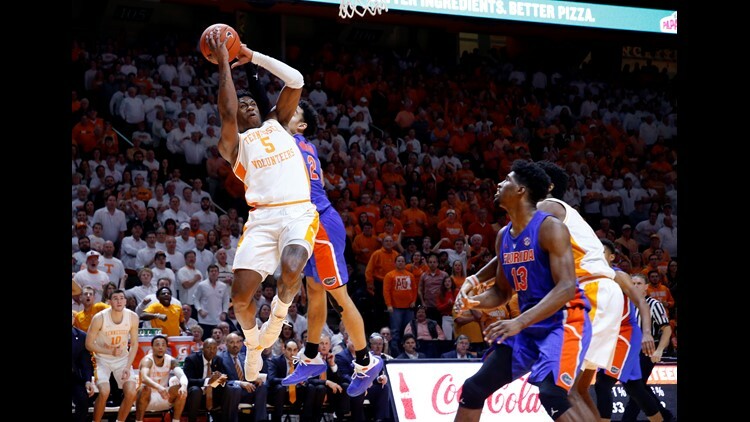 Schofield has been a major contributor to the Vols' success this season. He is averaging 16.5 points per game, which ranks second on the team and sixth in the SEC, while also averaging 6.3 rebounds. The Zion, Ill. native leads the team in shooting from beyond the arc with 43 3-pointers on the year. While being a high-volume shooter, he has shot 50 percent or better from the field in 14 games this season, including eight times during SEC play. Tennessee was one of seven schools to have multiple players on the list, including Duke, Gonzaga, Nevada, North Carolina, Villanova and Virginia. Schofield and Williams are joined by Kentucky's P.J. Washington as the only SEC players to make the team. A list of the 10 national semifinalists will be released on March 4, followed by the four finalists March 19. The 2019 Citizen Naismith Trophy will be awarded on at the Naismith Awards Brunch on April 7, during the Final Four in Minneapolis.